Data is the new power currency in sales and marketing, and this is especially true if you want to succeed in an account-based marketing approach. Begin with the end in mind, use data and predictive intelligence to discover and target accounts and decision makers, create targeted content, select channels, deliver an omni-channel experience and measure results. 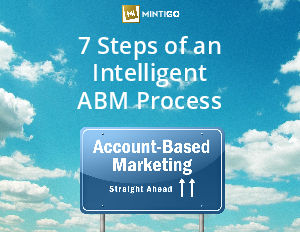 This ebook will cover seven steps that every account-based marketer and seller should follow to create a successful process for ABM.